We had a very memorable camp out over the weekend. Fifteen hardy scouts and adult leaders hiked the Appalachian Trail in the snow from Fahnestock down to Durland. The first photo below shows conditions on the trail. Sean, senior scout, guided the troop along the route. We encountered a full stream along the way. One of the photos above shows the troop carrying out Drew’s plan for getting the troop across. At the camp, the scouts had to gather firewood and got the fire going. Thanks to Drew and Alec for making sure we had a roaring bond fire at all times. Jack was the grub master for the scouts, earning his advancement requirement. Drew cooked a delicious beef stew from scratch for the ‘Old Goat’ patrol. 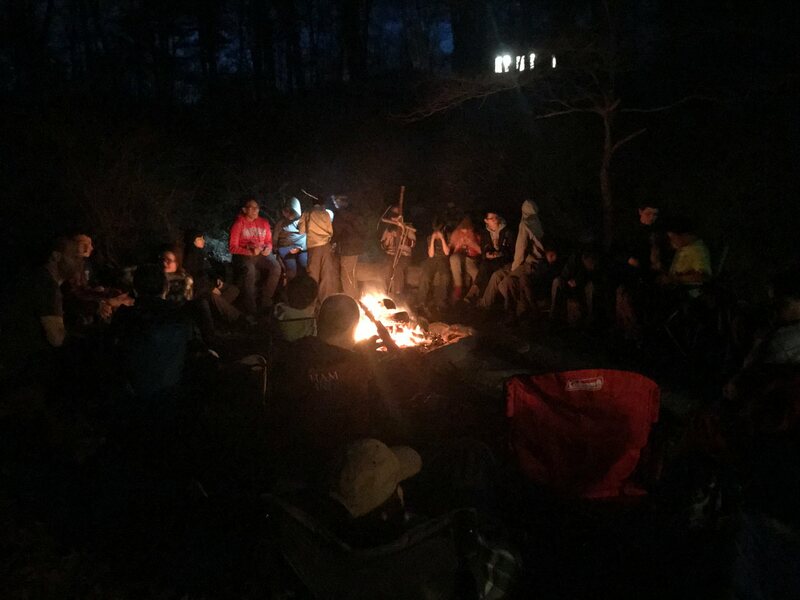 It was a long night, so the troop had a very memorable time around the camp fire, telling riddles, stories and roasting marshmallows. At our traditional post mortem ‘Roses, Rose Buds and Thorns’, many scouts wanted to do it all again next year. We took the group shot just before parting. Scouts and parents from Troop 353 participated in their annual food drive this week, helping to stock the shelves at Eastchester Community Action Partnership in Tuckahoe. The food donated by our families and neighbors will help a lot of people in our community during the holidays. Thanks to Mr. William for organizing and to Trader Joe’s for donating lots of grocery bags for our collection. 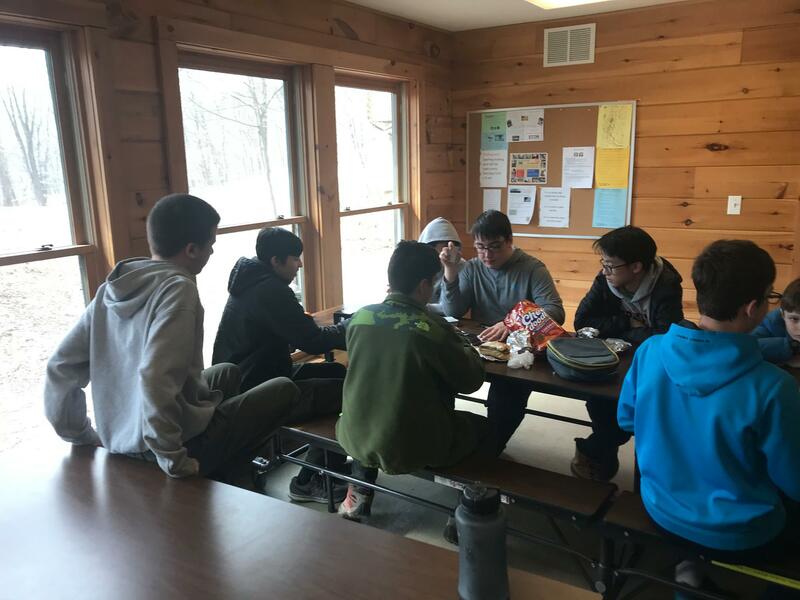 Some helpful (necessary) maps and background information for Troop 353’s backpacking trip to Fahnestock State Park and Durland Scout Reservation.